Shane Supple; Derek Pender, Rob Cornwall, Warren O'Hora, Ian Morris (Dan Casey 86); Fuad Sule, Dano Byrne; Ismahil Akinade (Georgie Poynton 86), Keith Ward (Philip Gannon 90), Paddy Kavanagh; Dinny Corcoran. Lukasz Skowron; Michael Barker (Josh O'Hanlon 88), Gavin Peers, Jordi Balk, Lee Desmond; Owen Garvan (JJ Lunney 81), Killian Brennan; Conan Byrne, Graham Kelly, Billy Dennehy (Kurtis Byrne 72); Christy Fagan. 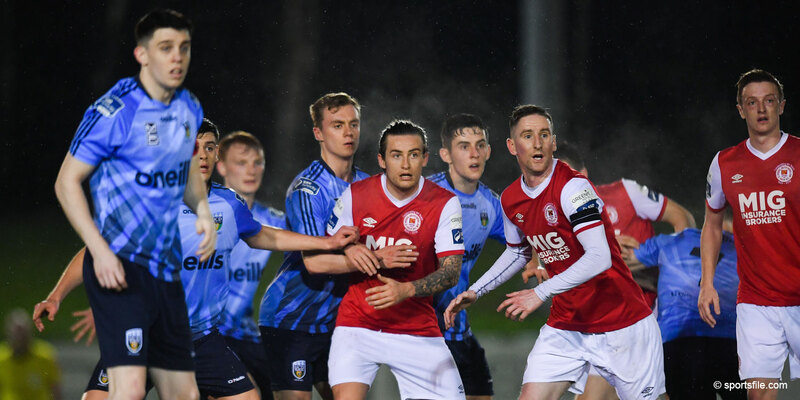 Dinny Cororan scored twice as Bohemians inflicted a damaging defeat on Dublin rivals St Patrick's Athletic in a rip-roaring Dublin derby at Dalymount Park. 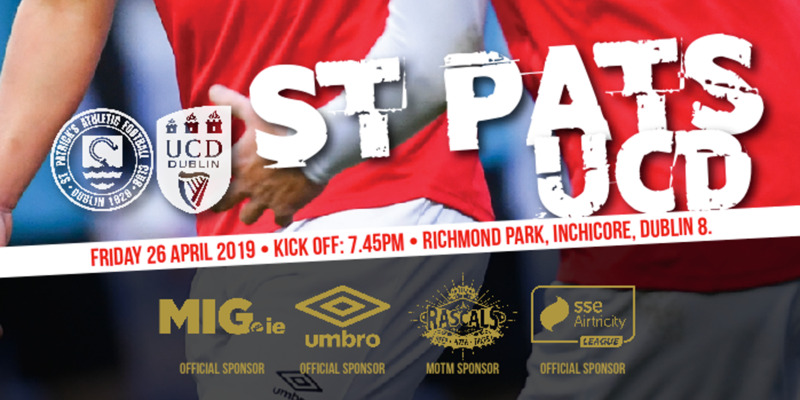 St Pat's had Gavin Peers send off after just 15 minutes and this defeat sees them drop back into the bottom three in the SSE Airtricity League Premier Division table. Remarkably, though, Liam Buckley's side were inches from snatching a point late on. In an electric start to the game, the sides swapped goals inside the opening three minutes. Bohemians hit the front two minutes in with a thumping downward header by Ismahil Akinade from Paddy Kavnagh's left flank delivery powering past Saints' Polish keeper Lukasz Skowron. Scarcely had chants of "You are going down" from the Bohs fans towards the Saints faithful in the school end died out when St Pat's were level. Michael Barker got forward from right-back to play in Christy Fagan, who drilled a shot under Shane Supple. A major torment to St Pat's, Akinade shot wide before Lee Desmond flicked a Corcoran cross off the big striker's head. With no let up in the early action, Bohemians then had Supple to thank for good stops in quick succession from Fagan and then Conan Byrne before the home side regained the lead on 16 minutes. Again Akinade powered through on goal with the backtracking Peers taking him down on the edge of the area. The St Pat's defender was shown a straight red card before referee Ben Connolly pointed to the spot. Corcoran confidently sent Skowron the wrong way from the penalty. Skowron prevented Bohemians extending their lead two minutes before the break with a terrific flying save to claw away Kavanagh's delightful curling effort. Keith Ward should then really have done better when volleying Akinade's right wing cross straight at Skowron. But Bohemians did stretch their lead six minutes into the second half. Desmond looked to have made a terrific tackle on Akinade. But the ball broke for Corcoran,who had a free run on goal before placing a shot past Skowron for his 15th goal of the season. Conan Byrne gave St Pat's hope when finishing a fine move involving Killian Brennan and Barker to rifle to the net on 65 minutes. 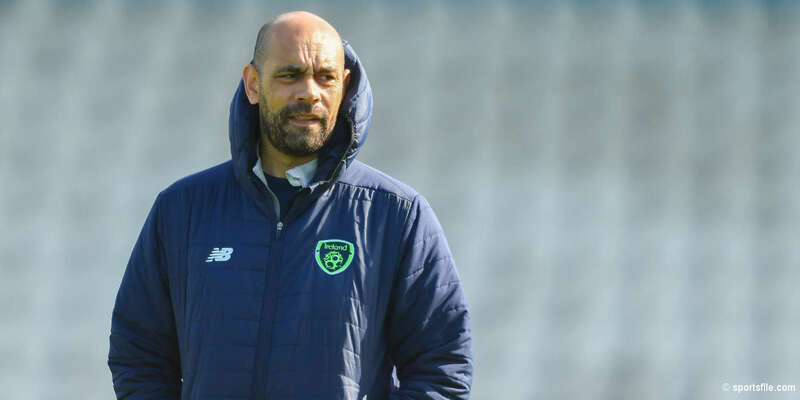 Keith Ward might have extended Bohemians lead, dipping a long-range shot just over the bar before shooting wide when well placed on 77 minutes. Then, incredibly, St Pat's really should have salvaged a point five minutes from time. Conan Byrne's low cross from the right found Fagan, whose shot came back out off the crossbar with substitute Kurtis Byrne's follow-up bravely blocked by Bohemians' sipper Derek Pender.